I’ve largely ignored the entire X-Men universe since the first movie. I may have seen the second film, but since then, I think my sole experience has been bumping into bits on TV. Except for the entry in the series where Wolverine was manning the barricades in 19th-century France, and singing about it. That was a bit weird. I think he was living under an assumed name too: Les someone or other. Anyway. Back in this world o’ mutants, things have gone a bit crap for just about everyone, with not many of the specially talented left, and those who are, struggling with the aging process. 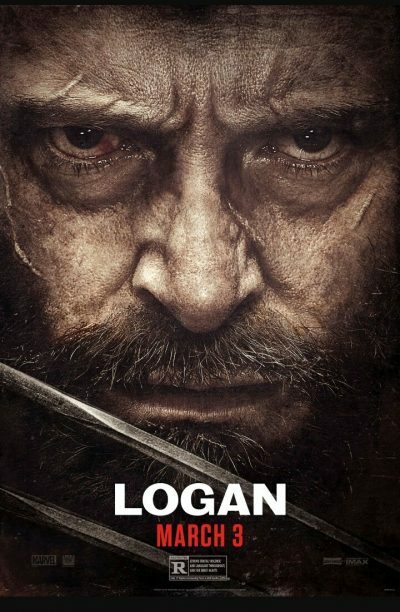 Logan/Wolverine (Jackman) is being slowly poisoned by his adamantium skeleton, and has became a part-time chauffeur, part-time caregiver to Prof. Xavier (Stewart), who is suffering from Alzheimer’s, and pops off telepathic blasts on a random basis. They are tasked with delivering to North Dakota a child, Laura (Keen), smuggled out of a research facility run by the dubious Transigen corporation. Turns out, she’s a clone, created from Wolverine’s blood, and they want her back, sending their relentless head of security (Holbrook) and a slew of other clones, to retrieve Laura. Of course, on the journey from the Mexican border to North Dakota, Logan begins to bond with the surly, aggressive little fruit of his DNA, forming the ultimate dysfunctional family, along with Xavier. It doesn’t help an alt-Wolverine is one of the chasing pack, particularly when Xavier is unable to tell the difference between it and the real thing. They all have a good laugh about that, naturally. Kinda startled to discover how much critical praise had been bestowed on this since, to me, it’s not particularly much more than a mutant version of The Transporter. I mean: a taciturn hero, with a checkered past and some driving talents, is giving an uncommunicative female, whom he has to protect against those who “own” her, and want to reclaim their property. Mayhem ensues. For Jason Statham, read Hugh Jackman. Probably add a bit more angst here, and admittedly, the property here is in possession of its own set of cutlery (plus some bonus items, actually), and proves more than capable of defending itself. I did like the generally “mature” approach to things. 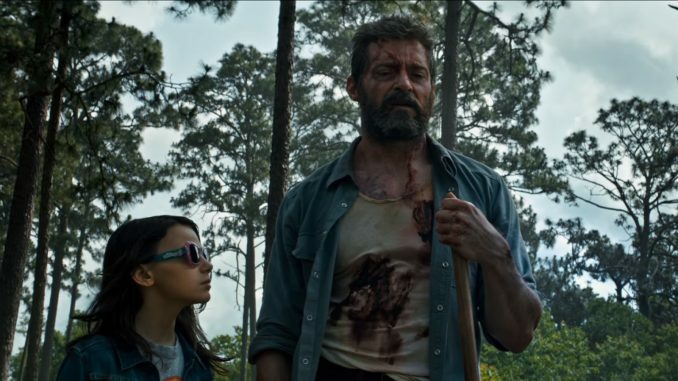 It’s a grimy, downbeat world depicted here, populated by grimy, downbeat people, and the grimy, downbeat Logan fits in to this setting very well. But there’s not much below the surface, fun though the crunchy violence is. It’s 141 minutes long – and the emphasis is very definitely on the “long”. For you know there will be nothing decisive happening until the destination is reached, and good Wolverine goes toe-to-toe with bad Wolverine in the inevitable hairy face-off. If you’re looking for a story of a lonely killer who finds redemption, by putting himself on the line to save a young girl… Well, Luc Besson did it about five thousand times better in Leon.